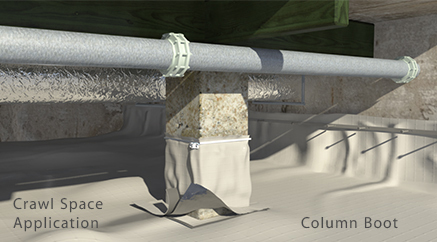 Crawl Space Vapor Barrier - Crawl Space Encapsulation Retarders | Reef Industries, Inc.
Ventilated dirt crawl spaces provide a source of moisture that can lead to mold, mildew, fungus and even structural decay. A crawl space can foster environments that lead to severe health issues, environmental moisture problems and increased energy consumption. 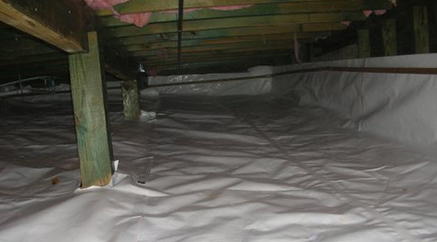 Therefore, a crawl space needs to be sealed with a crawl space vapor barrier or crawl space vapor retarder to help maintain humidity levels for occupant comfort, reduce heating and cooling costs and minimize other moisture related problems. 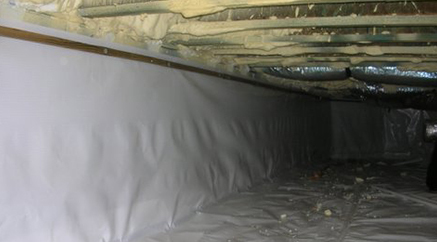 The Griffolyn® crawl space vapor barrier is made up of several grades of high performance polyethylene material. 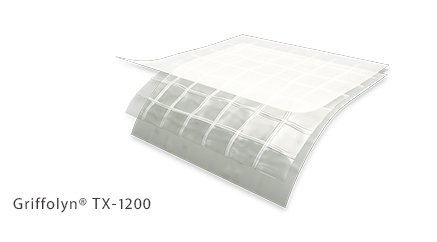 Griffolyn® crawl space vapor barriers are available in white polyethylene allowing greater illumination for a cleaner, more attractive crawl space. 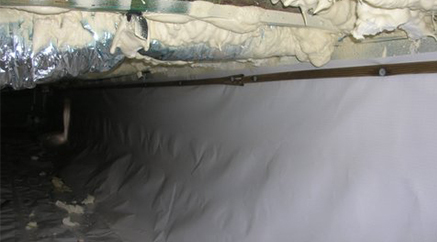 This crawl space vapor barrier can be manufactured in sizes to meet specific project requirements to greatly reduce the number of in-field seams and the costs associated with the time and labor required to cut the product to size in the field. 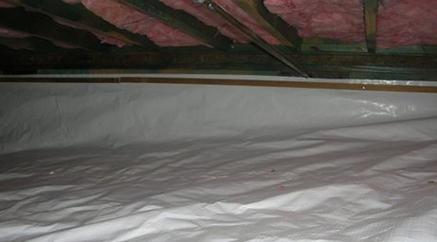 How to Install a Crawl Space Vapor Barrier? 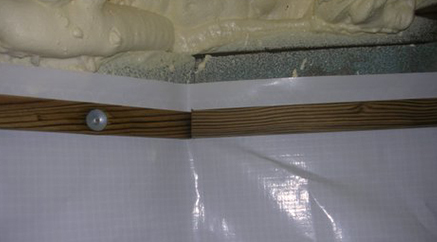 Here is a guide on crawl space vapor barrier installation. Now the third line of defense, a vapor gas barrier. This is a high density polyethylene. We're gonna use this to cover the whole floor. This is 20 feet wide on the roll and it's fan-folded, making it a little bit more manageable. To get started, we just roll it out, cut it to the length that we need, and then we'll unfold it to cover the space of the room. Now this is pretty thick stuff. It's five layers., bonded together with three layers of polyethylene. It also has these polyester cords running throughout in a grid pattern that helps reinforce the material. If you had regular plastic laid over these rocks and walked on it. It would cause some holes and probably some leakage. Now once you get this stuff laid out and you hit obstacles like plumbing pipe like this. What we could do is we could just slit right up and bring the material around but we want to keep the number of protrusions and slits in this material at a minimum so you don't have gas leaking through. So instead what I'm going to do is just make a little cut, make a little hole in this area right here and then we'll just lift it over the top and once we get that accomplished, we'll come back and we'll actually install some boots - it's a pretty good process for sealing these up. Now along our walls, we want to make sure that the material comes up to an inch below the top of our concrete floor. For us it's about 5 inches and we're plenty good here. We'll end up cutting off any excess after we get it sealed up. And to secure it, we're gonna use this double-sided tape, and we're gonna be doing two rows of it - one right at the base of the wall and another one a couple inches above that. That'll make it nice and secure and make sure this doesn't come away from the wall when they pour the concrete. Now the tape that we're using here is pretty aggressive. 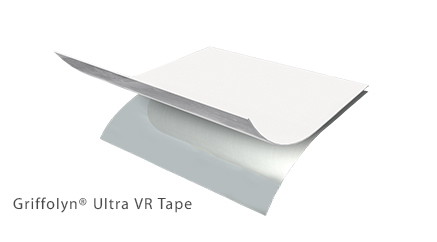 It's really sticky, but it does come with a release tape so it makes it pretty easy to work with. 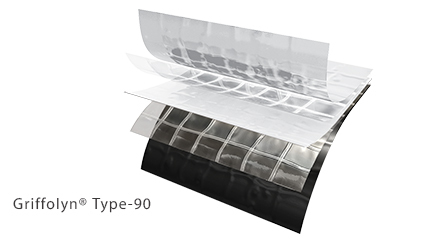 Griffolyn® Type-90 Reinforced 5 ply. 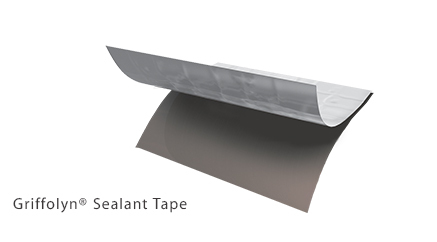 Delivers extra strength for applications requiring additional strength and puncture resistance. 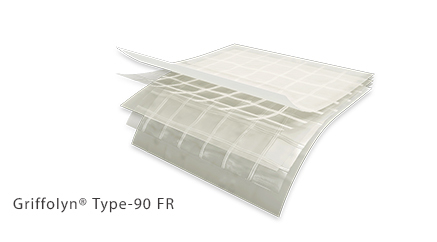 Griffolyn® Type-90 FR Reinforced 5 ply. 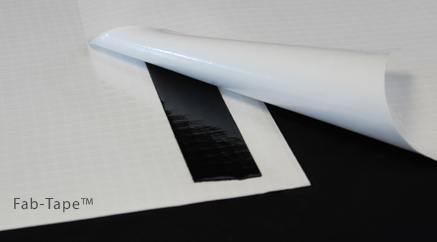 Delivers fire retardancy for applications requiring additional strength and puncture resistance. Griffolyn® Type-1600 or Type-1600 Antimicrobial Reinforced 3 ply. Combines 2 layers of U.V. 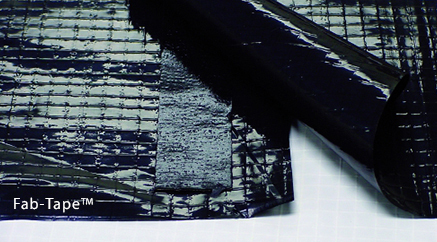 stabilized coextruded polyethylene and a high strength cord grid. Also in an antimicrobial grade. Pier & Pipeboots Form fitted boots to seal piers, penetrations, and pipes.